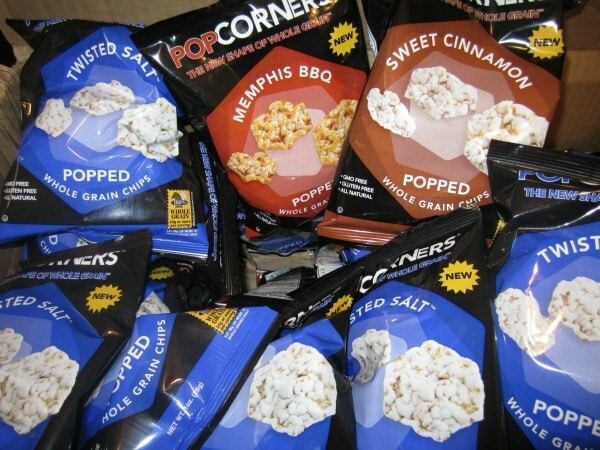 PopCorners now come in whole grain with exciting new flavors. I was sent a bunch to review and they definitely make the perfect summer snack. 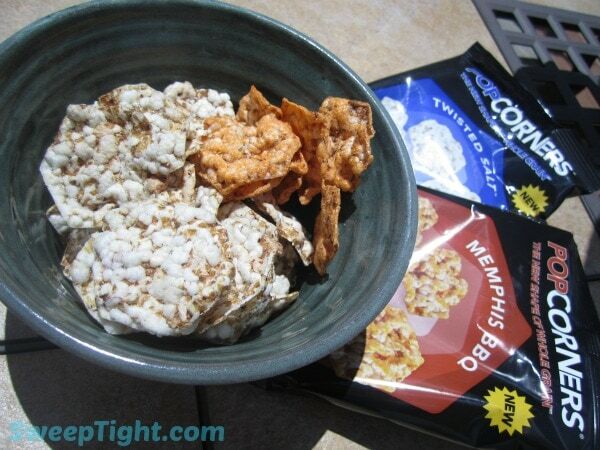 One of my first reviews on this blog was of PopCorners and I have been hooked on them ever since. These new PopCorners have a different shape and new flavors. But, the most exciting thing about them is that they are a way to snack smarter. They are whole grain, all natural, gluten free and non-gmo. We received Twisted Salt, Memphis BBQ, and Sweet Cinnamon. There is a fourth mystery flavor being released soon. You can enter the sweepstakes to guess what it will be by visiting PopCorners on Facebook. I am personally hoping for something cheesy! My favorite flavor of this batch is the Sweet Cinnamon. It’s the perfect blend of crunchy, light and sweet. Great for snacking on hot summer days because they are not greasy or heavy. We took several bags out on the boat with us and every passenger raved about them. We heard “Whoa, what are these?”, “Wow, where did you get these?”, “Holy cow, these are awesome!”, by each person who tried them. It was actually pretty funny and I was not expecting such an enthusiastic response. I didn’t mention that I was reviewing them. Just casually handed out the bags and let the reactions speak for themselves. Of course, once all of my taste-testers read about the natural ingredients and found out they could snack guilt-free, they were even happier. If you are a fan of chips, I highly suggest giving PopCorners a try. They could be a healthier alternative for you! I always purchase my PopCorners from Bed Bath & Beyond, but I have been seeing them popping up in more stores now, too. Check the store locator on their site to find them near you, or you can purchase online. I would love to try the Memphis BBQ. I’d probably like them all and would nosh mindlessly in front of the TV.